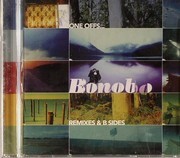 "One Offs... Remixes & B Sides"
04. Bonobo - "Dismantling Frank"
06. Bonobo - "The Sicilian"
07. Bonobo - "The Shark"